…In fact, she was totally against it…. …In fact, if I did this one, I was on my own…. … I had my first shake after weighing in. Chocolate…. …The voice on the phone told me that in order to be successful at this business, I needed to get the best results possible in my first 30 days…. …My coworkers started to inquire about the program…. 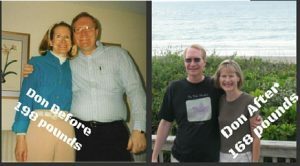 …Within a few months she lost over 45 pounds…. …After just 2 months I was down 30 pounds and our business was growing by leaps and bounds as more people were referred to us and other people began to get started…. …I don’t know if this journey is for you…. …At this point we are looking for a few teachable individuals who aren’t afraid of hard work and enjoy helping people change their lives for the better…. IMPORTANT: After watching, return to Email #2 or subscribe in the link below to get the details on how to join our team! …We wish you much success and look forward to working with you! *If you are not currently on our mailing list, please click here to subscribe. *Please note that these results are not typical but are the result of hard work and focus. We don’t know you or your work ethics so this is not to be construed to be any guarantee as to results with the products or business opportunity.